Jan 30 The perfect wake-up song? Let's face it, most of us struggle when the alarm goes off first thing. For some it's even worse. Someone I worked with called Tina told me her first thought on waking was one of ‘absolute disgust’. Hmmm. I’m not sure that’s the best way to start the day. We decided to change those first few moments of Tina's day, and Tina gave me a little alarm clock demonstration. BEEP BEEP BEEP BEEP! It was horrible. It sounded like a fire alarm. Or an emergency warning sound. Uuggh. We got rid of the nuclear warning zone alarm clock and instead set an alarm on her phone with a song from her music library. Tina said the moment her alarm went off the next day, she started laughing. It was just such a chilled way to start the day, she said. What did she pick? 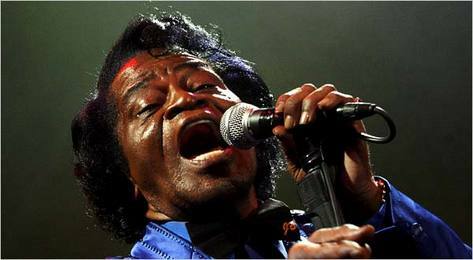 James Brown, “I Feel Good”, which is a pretty positive message with which to start the day. If you have trouble sleeping, once you've changed your alarm clock, here's some reading that will really help you start to make changes. Read this article on The honey-heavy dew of slumber.